Situated around an hour’s drive from Alicante, Guadalest is a small village in a valley. However, inspite of its small size, it is one of Spain’s most popular tourist destinations. It was declared a Historic-Artistic monument in the year 1974. Guadalest is known for its castle, which dominates the village’s skyline. There are also numerous museums, namely the Museum of Ribera Girona, Museum of doll houses, Ethnological Museum of the Valley of Guadales and the Museum of Miniatures of Manuel Ussa. Usually, people plan a one day excursion of the Guadalest valley while touring Alicante. During main tourist season, the streets of the village tend to get crowded. Cafes and restaurants usually open by 8:00 am. Museums generally open by 10:00 am. Hiring a car is recommended. Love this? Explore the entire list of places to visit in Alicante before you plan your trip. Fancy a good night's sleep after a tiring day? Check out where to stay in Alicante and book an accommodation of your choice. 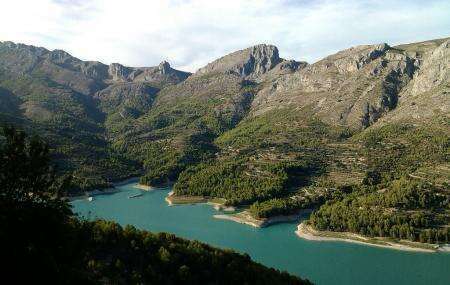 How popular is Guadalest Valley? People normally club together Isla De Tabarca and Canelobre Caves while planning their visit to Guadalest Valley.